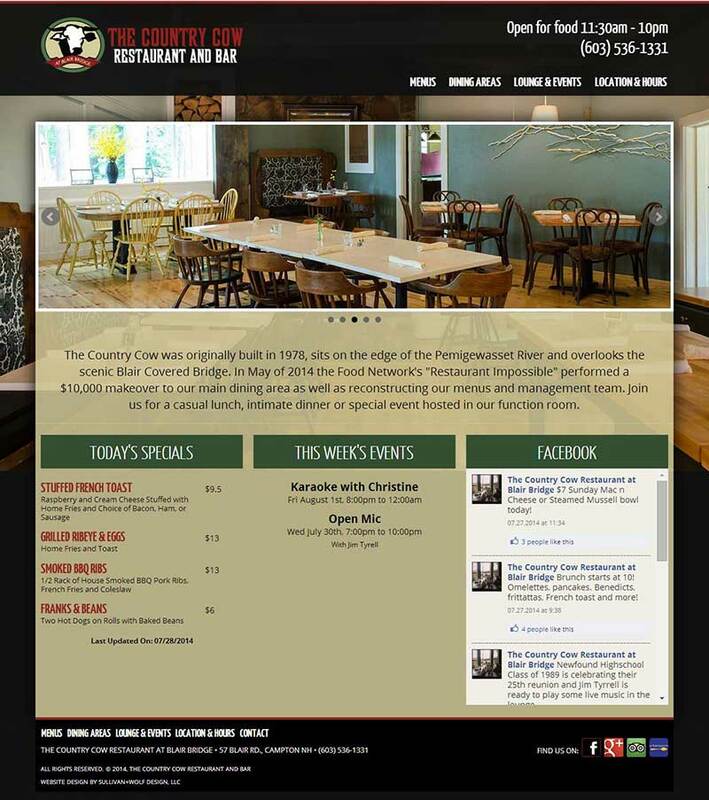 The Country Cow just had a make over from "Restaurant Impossible" and the owner was needing a new website. We picked up on the new look and theme and carried it thoughout the site. Photography of the restauarant was photographed by Brian Sullivan and is featured prominently. The site has a powerful, yet, easy to use admin area where menus can be updated, PDF files of menus uploaded, and more. Hours can be changed and it is using Google Calendar for events. We developed a script to take the Google Calendar feed into HTML controlled by the website. The website is mobile friendly via RWD (Responsive Web Design) which is critical for the hospitality industry. We are also working with them on menu design and more.